EsSCO facilitates opportunities for b﻿usiness﻿es to embrace the global trend of collaborative change through process design and improvement. Process improvement identifies and eliminates wasted effort and duplication. Standard accepted practice is challenged by counter intuitive tactics that deliver operational innovation and organizational learning. EsSCO has delivered a number of significant successful projects with a cross section of Australian, New Zealand and Indonesia's most successful companies. EsSCO’s peer network of eminent, yet practical senior consultants ensures a comprehensive set of capabilities exist to meet clients specific and evolving needs. 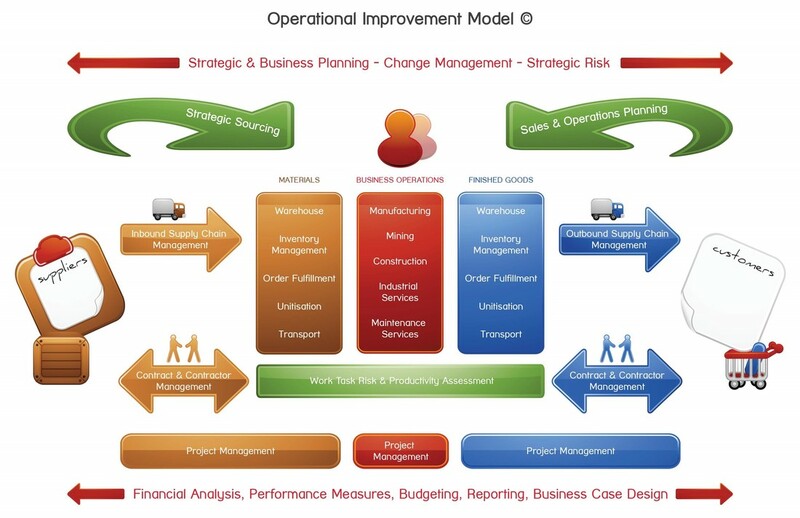 ﻿Es﻿SCO has integrated scenario planning into the supply chain optimisation process which delivers Adaptive Supply Chain Strategy and Operations.